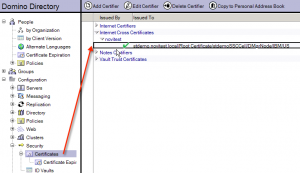 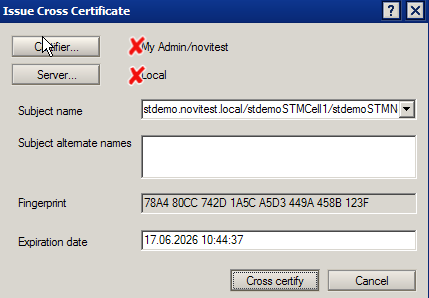 … you will get a cross certificate warning within the Notes client. 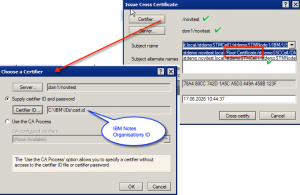 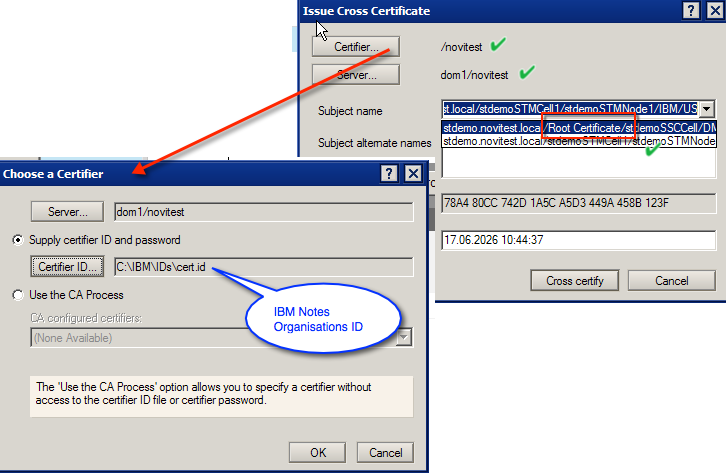 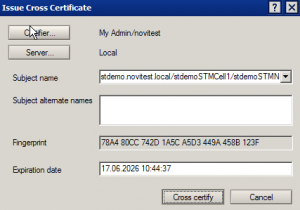 To prevent this annoying dialog within the IBM Notes client you can push this x-certs to all IBM Notes client through the IBM Domino policy.
! 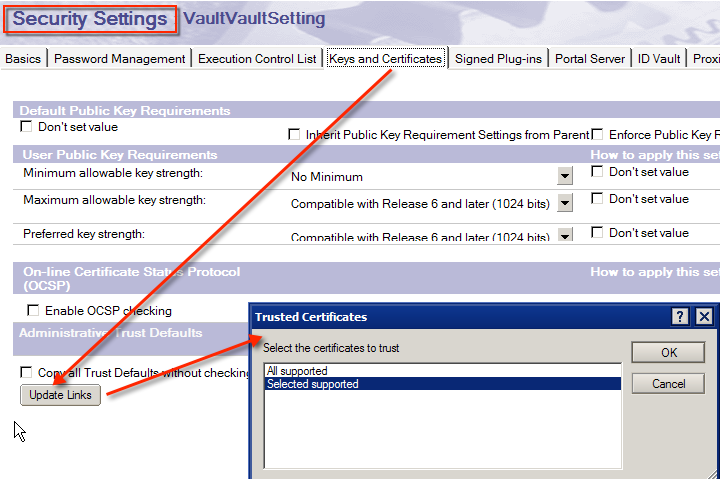 DO NOT automatically accept it. 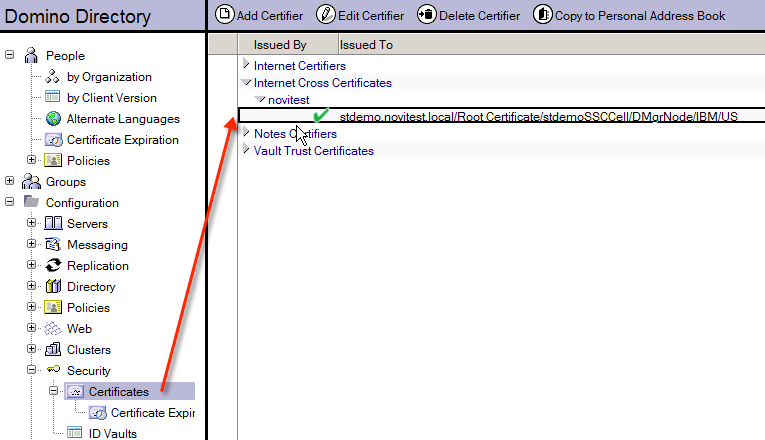 You need to change the fields to save the cross-certificate to your central domino address book (names.nsf). 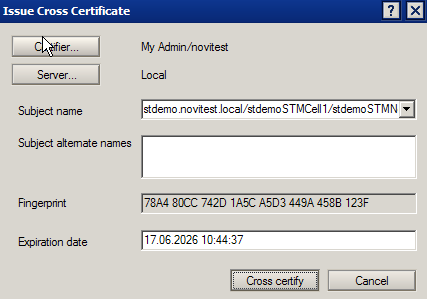 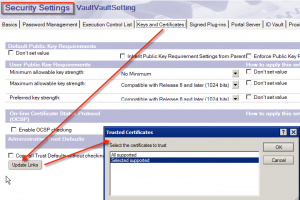 NOTE: If you do not get the cross-certificate window, please check your local address book for already accepted x-certs and delete the concerning document.